Asda has revealed sales nosedived by 3.9% in the first quarter of 2015, in a period of what CEO Andy Clarke described as unprecedented "turbulence". In the 15 weeks to 19 April, sales dipped almost 4%, though Clarke said Asda was a "healthy business" and would not revert to short term tactics to drive sales, rather it would focus on "long term profitability". "This last quarter has been unprecedented," Clarke claimed. "We have seen deflation in the market and exponential shifts in the industry." "Whilst I take no pride in reporting a negative number, we are in a period of expected turbulence, not distress. We won’t buy short term sales at the expense of long term profitability." In the past, Adsa has lashed out at the "short-termism" of vouchering schemes and "gimmicks", pointing to the fact it focuses on everyday low prices. 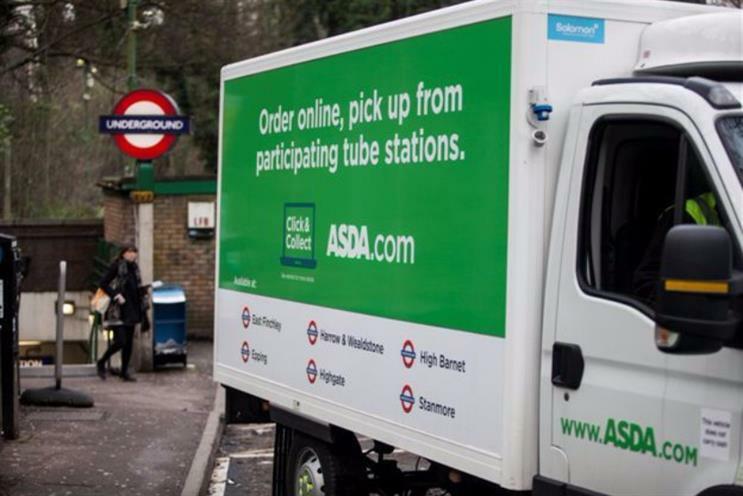 To build strength in the proposition, Asda had rolled out 611 Click and Collect sites at stores, up 94% year on year. It would open the UK’s 'first intelligent Click and Collect pod' in June on a major commuter belt in St Helen’s, with the concept rolling out to London high street stores later in the year. Asda added it would invest £21m in "store hours" and that George Home had seen "strong sales and profit momentum". Clarke said: "Despite signs of a real and sustainable economic recovery, 2015 is setting itself up to be the most challenging year yet for traditional supermarkets. Customers are not yet cash-confident, preferring to save rather than spend." In February, Asda revealed its fourth quarter and full year financial results for 2014, posting a 1% fall in like-for-like sales for the year to 31 December and a 2.6% fall in the 12 weeks to 4 January.